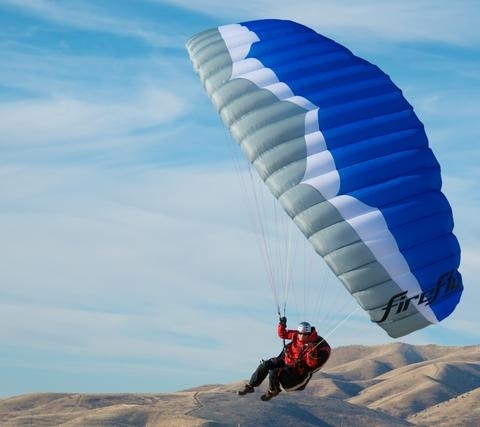 The Firefly 3 builds on the legacy of the Firefly series, which was founded on a simple principle: A high performance profile in an extremely stable speed wing planform. The original Firefly contained an HPP profile that was tuned to work with the low aspect ratio hybrid speed wing planform. The FF3 continues this trend of high stability and good glide performance for its size and aspect ratio. The FF3 improvements have improved all factors, with an emphasis on launch, handling, and stability. Like its predecessor, the FF3 launches easily with its behavior here being improved by a lighter sail – we have changed the N30D to the light yet durable N20D for the bottom surface, which aids not only the launch but also reduces sail inertia in flight for a crisper and more agile feel in the air. In high winds, the wing still has no tendency to overshoot, and is very easy to control and ground-handle. Further improvements have been made to the riser system by reconfiguring the trimmer position, allowing easier manipulation of trim with brakes in-hand. At the request of pilots, we have added a new larger size. The 18m FF3’s weight range maxes out at 120kg, for the big guys (or gals) out there. At higher wingloadings, roll stability is excellent and the flare power remains impressive. New cell openings have allowed for increased internal pressure at accelerated speeds, which aids in collapse resistance and improves handling. A new leading edge reinforcement has reduced wear and tear at this crucial part of the sail, without compromising leading edge shape at all AoAs. Finally, a new arc at the tip has led to improved roll behaviour, a critical topic for speed flying pilots. When carving near terrain, predictable and progressive roll behaviour is important, and the FF3’s progressive feel is consistent across the weight range. In the history of this wing series, the FF3’s advanced profile has proven to be ideal for high pitch stability and excellent performance in the class, and the low aspect ratio and thick chord adds protection for passive safety and stability. It remains an excellent choice for pilots who want to experience the thrill of mini-wing piloting without the sacrifice in stability that is inherent in higher aspect ratio designs which are common in the mini-wing category. Part of the FF3 performance is thanks to an advanced, reduced-drag line-plan. This could be considered a “free” performance gain, which has come at no cost in stability. At OZONE, our main priority for mini-wings and speed-wings is safety. 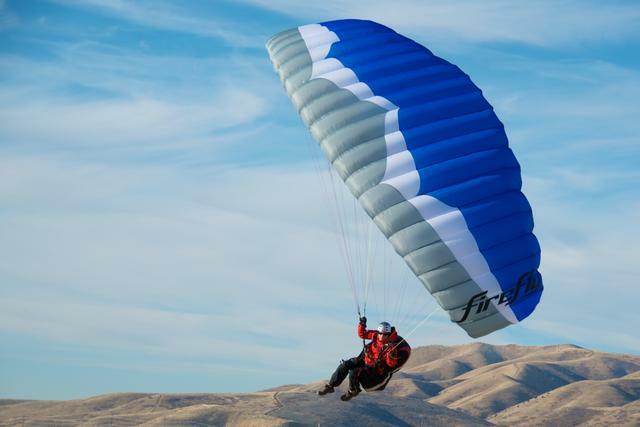 Higher wingloading does not automatically means higher stability, and we have taken great care to produce a smaller wing that, while fun to fly, still retains a level of passive safety that is suitable for paraglider pilots with beginner-intermediate skill levels, and higher.